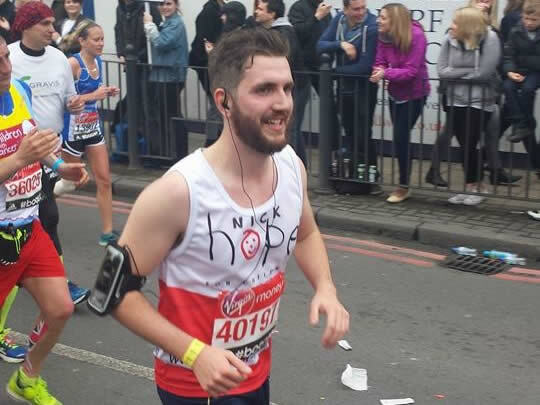 Two former pupils from the year of 2012 (to our knowledge - there were probably many more from other years) completed the London Marathon on 26th April. Below are extracts from their reports, and links to their JustGiving pages should anyone should wish to contribute to the wonderful causes they were supporting. Fuller accounts will appear in the April edition of the Newsletter. I finished the marathon in 5:45:02. I was quite happy with that. Sadly I missed out on an official Guinness World Record by 15 minutes. The pain as I hobbled down the Embankment wasn't pleasant but the whole experience was amazing. Raising nearly £40,000 (with gift aid) for Cancer Research UK is definitely worth a few days of discomfort. Sadly my dad passed away early in April and thus couldn't watch me finish the marathon, but it is fitting to raise so much money for a charity that is doing excellent work to make sure that fewer people leave the world too soon. 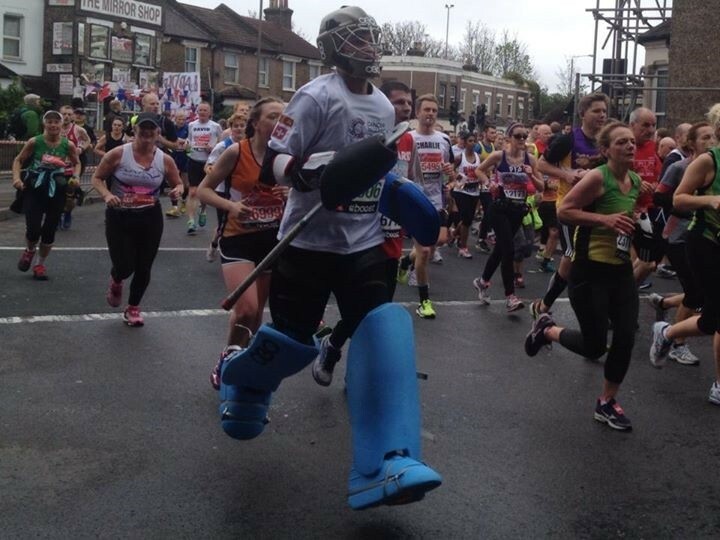 I first had the idea for running a marathon in keeper kit when I was sitting in a KGS assembly at which one of the teachers described hitting the wall (if I remember rightly he hit it at 18 miles and powered on through). The marathon was about the confidence that a good education, with excellent, encouraging teachers, gives one to take on challenges that seem, to other people, impossible. So thank you KGS for teaching me to try things that, to others, may seem absolutely ridiculous.